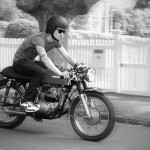 Colin’s 1974 cb200 in NZ - Chin on the Tank – Motorcycle stuff in Philadelphia. If you didn’t already know, Max has cousins from Auckland. His cousin Colin and I live pretty close to eachother here in NZ… couple mins down the road. 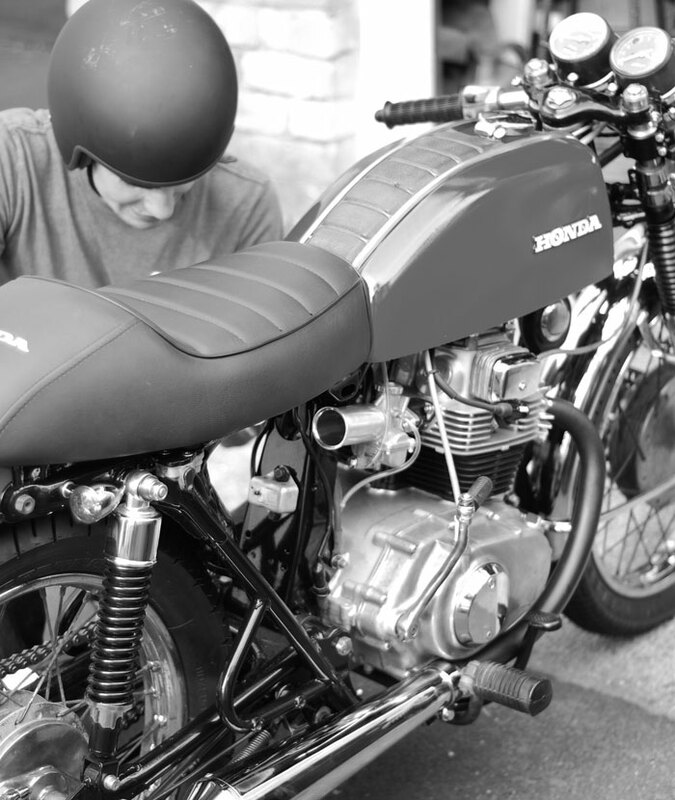 A few months back he picked up a cb200 and rebuilt it into this sweet little cafe racer. It’s finally running and now he’s dialing it in. It was a pretty big jollapy when he first got it. He rebuilt the engine… the entire engine. Seat kinda similar to my cb450 seat, but a tiny bit more slim. Red tank. Powder coated frame. Clip-on bars. 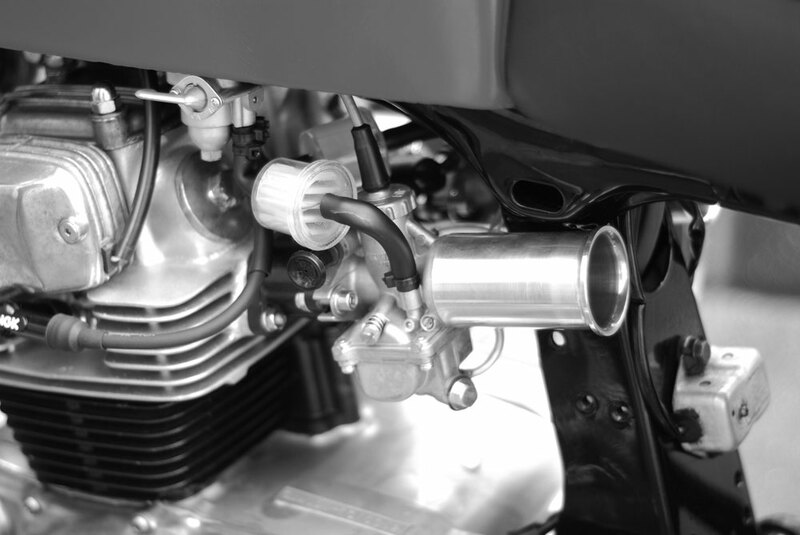 New Mikuni carbs and velocity stacks. They need a tiny bit more tuning. Still working on getting the jetting perfect. This is Colin’s other cycle. 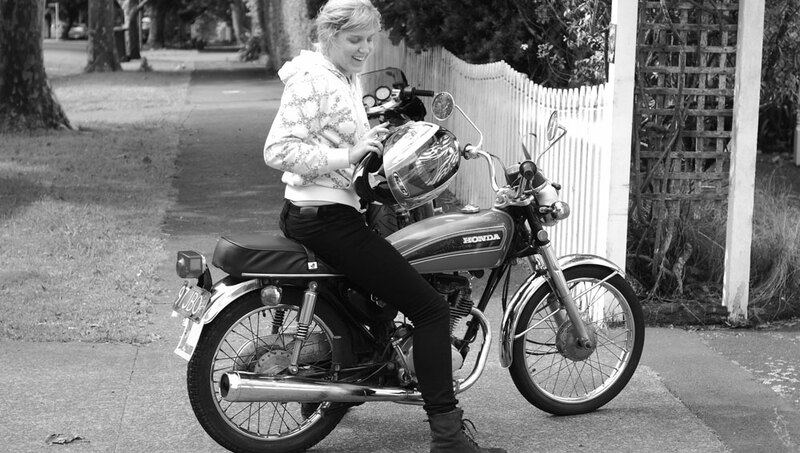 A cg125 single cylinder that he’s teaching his g/f Gabby to ride. This is a link to his full build thread if you wanna check out all the nitty-gritty stuff he did. Side note – Colin is moving to LA in a couple weeks to race road bikes (geared pedal bikes) professionally for the next 6 months. Good luck. 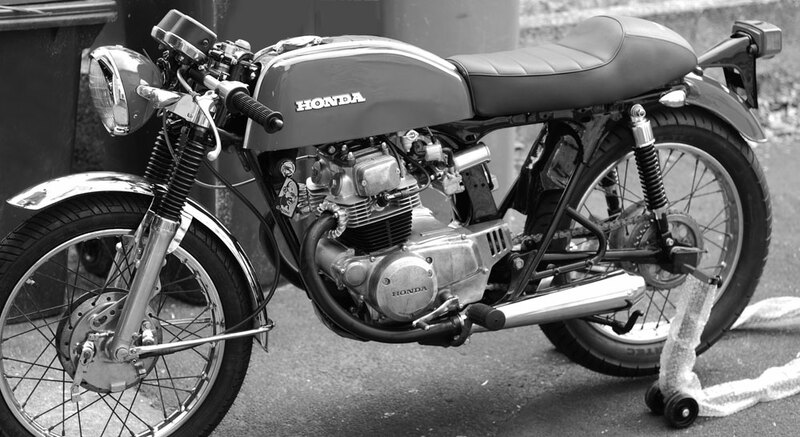 Colin’s CB200 looks fantastic…..very clean and minimalistic! 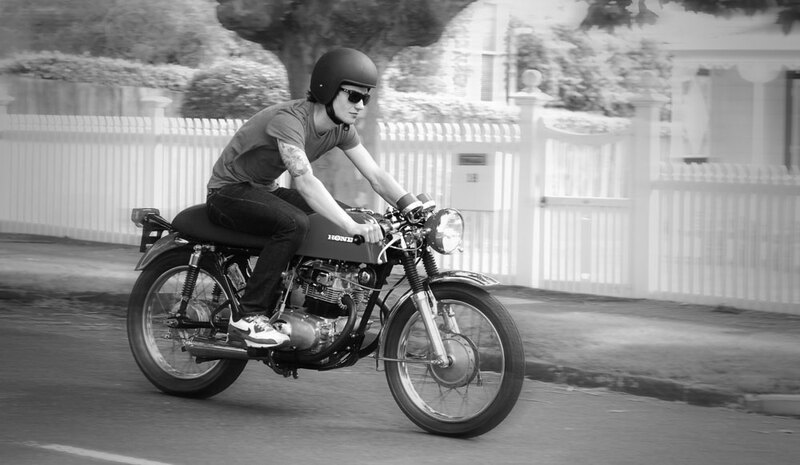 Sick bike – I’m into it. 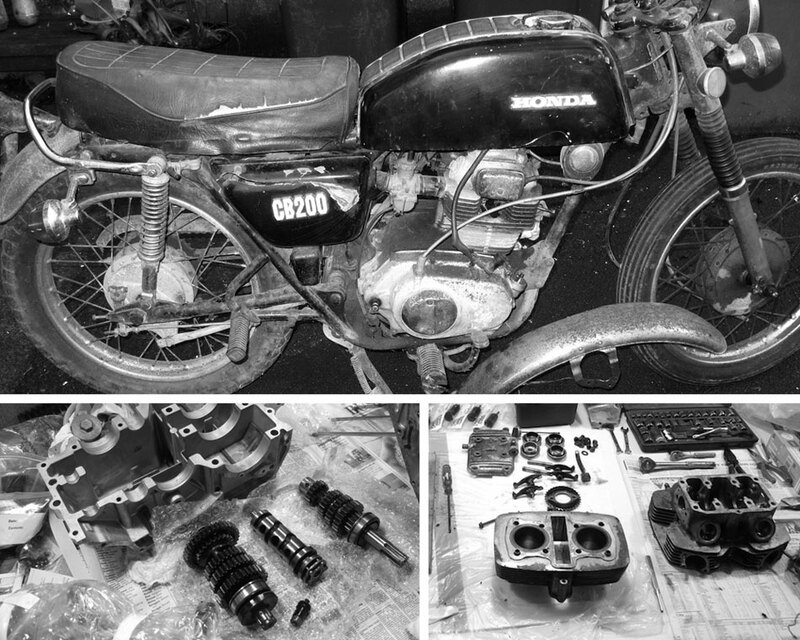 I love coming across a full tear-down rebuild – it really came out nice. Beautiful cb200. Where did u get ur clip ons and what signal lights are u running. Cheers, the clip ons are Woodcraft- I couldn’t find much in the way of 31mm ID. In hindsight I’d probably get something cheaper and have some shims made, although they are sweet bars. The signal lights are just a generic type ‘bullet’ indicator screwed directly into the frame on the rear. I’m away from the bike now for a year or so, so I can’t ell you a code or anything. please let me know your carb settings if the engine works fine.